Drivers on busy I-95 South get to see this awesome sight! How can you kill something so cute, Truly? 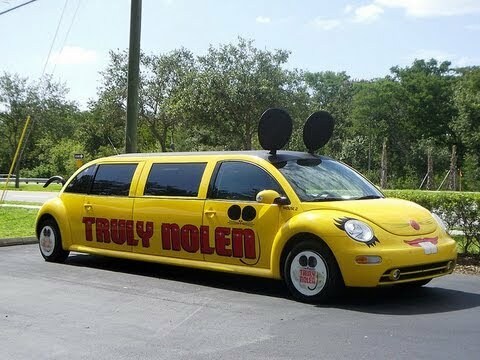 The truly awesome Truly Nolen limousine. We were lucky enough to spot a Truly Nolen classic Nash Metropolitan in Tucson, Arizona. Note the Muffler Man in the background. Score! Read about it here. 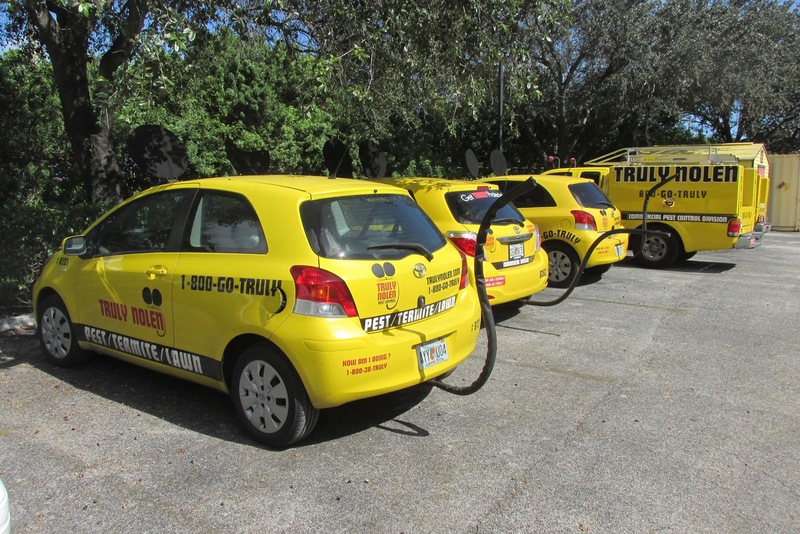 If you're going to be in the business of killing household pests, it pays to have a sense of humor. 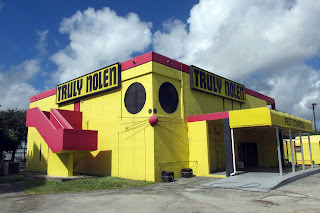 At least it does if you're the Truly Nolen company. They've been around since the 1930s and have employed many whimsical promotional devices over the years. 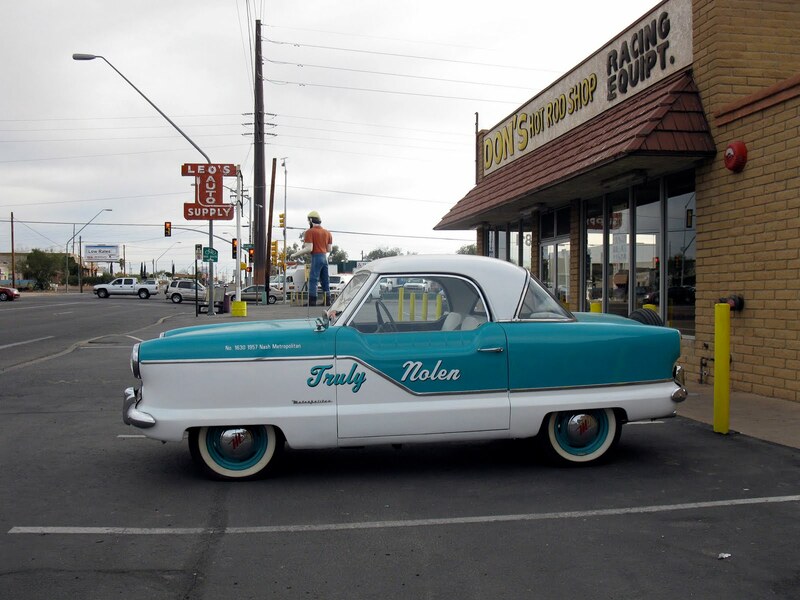 In the 1950s, they began using a fleet of classic cars as moving billboards emblazoned with their company name. This led to a red VW bus made to look like a giant ant, which was the forerunner of today's Truly Nolen yellow mouse car — VW bugs and Toyota Yarises in lemony hues and appointed with round mouse ears, long black mouse tails and cute faces painted on their fronts. 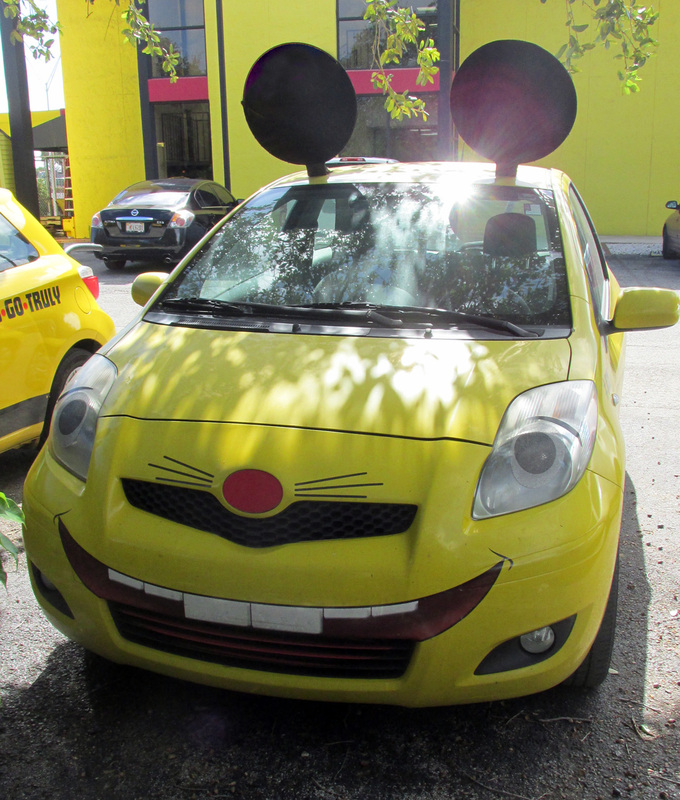 They've even got a mouse limousine (lim-mouse-sine?) that makes visits to schools. Their Pompano Beach, Florida headquarters building has taken the mouse concept even further. 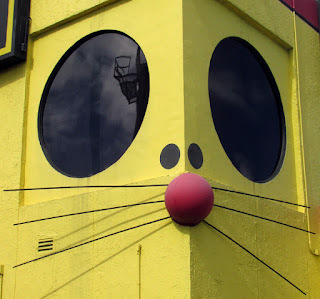 It's the same bright yellow, with a red mouse nose and whiskers attached to the corner and beneath two round black windows resembling their trademark mouse ears. And it can be seen quite clearly from busy Interstate 95 south. Marketing brilliance. And if you're wondering about the name, Truly Nolen is a person. 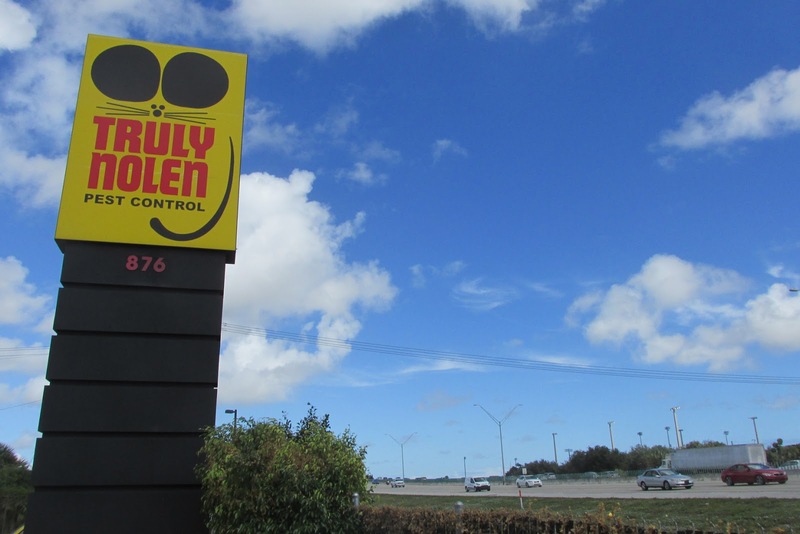 Truly Wheatfield Nolen was the founder of the company, and the family has kept the Truly name going for three generations. 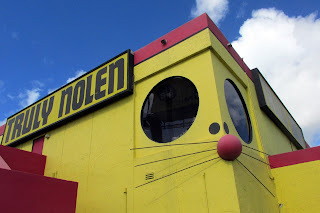 Other names in the family are Really Nolen, and Sincere Leigh Nolen (I kid you not — it's on their website). Keep up the eccentricity, Truly Nolen. We dig you, truly.